The CEO of Deutsche-Post DHL, Frank Appel, appears to have acted swiftly and boldly over the problems at Deutsche Post PeP, embarking on a major restructuring of the group. 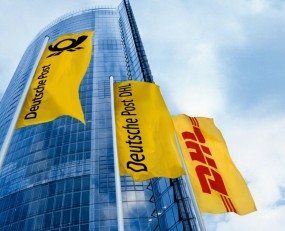 On Monday it was announced that the Deutsche Post DHL Group would be re-organised, with the former ‘Post – eCommerce – Parcel division, or ‘PeP’, to be divided into two parts; one focussed on Germany called ‘Post & Paket Deutschland’ and the other named ‘DHL eCommerce Solutions’ composed of DHL Parcel Europe and DHL eCommerce. The former head of DHL Express, Ken Allen, will now be the CEO of DHL eCommerce Solutions, with the former number two at DHL Express, John Pearson, becoming that business’ CEO. Frank Appel will remain temporary CEO of ‘Post & Paket Deutschland’. Undoubtedly this relates to the problems that the former PeP has had with its last-mile cost base. The revision in the projections of PeP’s profits for the year ahead has been painful for DP-DHL Group, not least as PeP had been an anchor for the wider company in the past. That there was going to be a management restructuring was clear from the exit of its former CEO, Juergen Gerdes, but the new structure announced today goes beyond that. The appointment of Ken Allen indicates that the DHL eCommerce Solutions business is a strategic priority. Mr Allen has had significant success not just in turning around DHL Express after its disastrous foray into North America, but building it into a serious rival to FedEx and UPS on global scale. Yet there are some tensions here. Key to the profitability of DHL Express has been its disciplined market positioning. Early on it decided to avoid low margin last-mile activities, using sub-contractors where necessary to handle deliveries to non-core customer groups. However, PeP followed the opposite course, leading to the problems of cost control and margin pressure resulting in the present crisis. The logic of the situation is that the new DHL eCommerce will pursue a different strategy to that of PeP. It will be interesting to see how it does this and where assets such as UKMail fit into the new strategy.